1. I’m so tired. Our baby was sick last night, so I burned the midnight oil in order to take her temperature regularly. 2. You look exhausted. 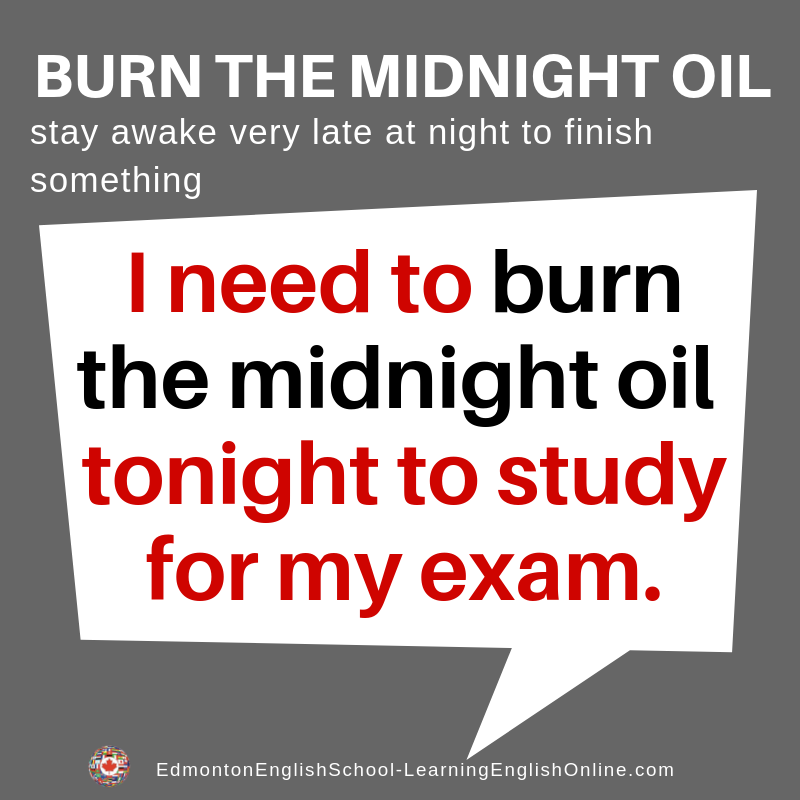 Have you been burning the midnight oil a lot lately? 3. We have to finish this project before Friday. We are going to have to burn the midnight oil for a few nights.